"Making an episode of a modern-day police, medical or domestic drama was nothing compared to imagining how Colony in Space should look and be made. Twenty parts to be cast, locations to be found for two weeks' filming in a landscape that looked like a foreign planet, a robot to be created... and, and, and... 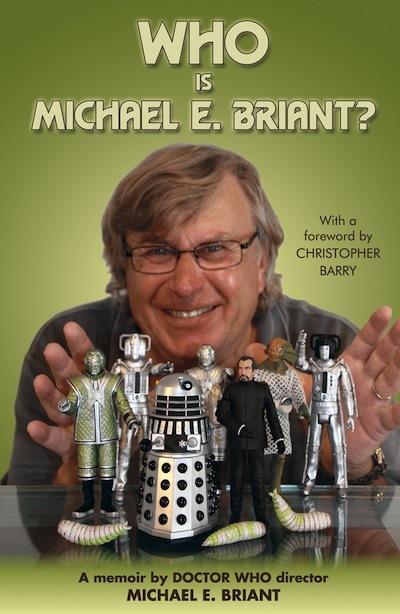 I confess that sometimes, during the preparation period, I would drive home thinking that if I just crashed the car into a concrete wall and injured myself, then I would not have to direct this show..."
Michael E. Briant directed numerous episodes of classic TV series throughout the 1970s such as Blake's 7, Secret Army, Warship and most famously Doctor Who. Many of his Who stories (The Sea Devils, The Green Death and Robots of Death) are regarded as all-time greats by fans of the series. "I am sure you will enjoy reading his memoirs as much as I have." Note: Print-on-demand edition created for the US market, this is identical to the UK edition (apart from being print-on-demand) and was created to allow US customers order the book without having to pay international postage charges.